I have a bit of a strange history with this band. 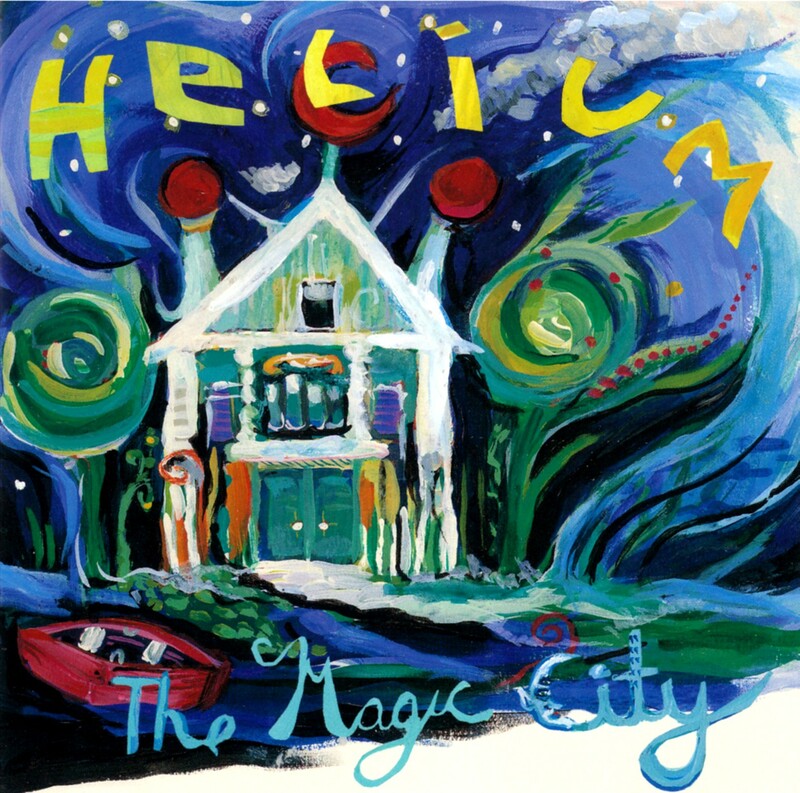 I was introduced to Helium by a show in Atlanta back in 1998 while under a, uh, somewhat altered state, and then never got back to listening to them again until a few weeks ago. Still, they stuck around in the back of my mind and I probably should've returned to them earlier. The band, led by singer/guitarist Mary Timony, is basically a mid 90's indie-rock affair, but they distinguish themselves quite well with touches 70's prog and a few echoes of shoegazing. Honestly, this is far from outright psychedelic rock, and several steps away from the music I typically rant and rave about on this blog, but I dig it. The satellite pulsin', girl-group-of-the-future-sound of "Leon's Space Sound" is a pretty hooky place to get acquainted with this album. There's a very groovy string synth riff bubbling just under the surface. "Medieval People" is a standout instrumental, although I imagine that the people in the title are heading for some kind of day glo, Authurian rave or something. Actually, I think they mixed up the titles with the also fine, short instrumental "Blue Rain Soda." Just swap them and it makes far more sense. "Lullabye of the Moths" sort approximates something that might have sprung forth from the late 60' UK psychedelic pop/folk scene, while "The Revolution of Hearts Pts. I & II" really does run too long at eight minutes, but sort of makes up for it with an array of insane sound effects later in the track. This album probably requires a strong tolerance with some of the more stereotypical sounds of 90's rock, but having said that, it's one of the better albums I've heard that functions within those perimeters. I'd certainly place this far above most of Juliana Hatfield's or Liz Phair's discography (although I'll give Phair's first album a 'get-out-of-jail-free' card). There are some nods to vintage psychededia lurking in the production that really do enhance the songs and for me qualify this set for a mention here at the Psychedelic Garage. great album, and Mary's first two solo albums (Mountains and Golden Dove) are essential listens, taking ideas that begin on this album and push them to lunar limits.